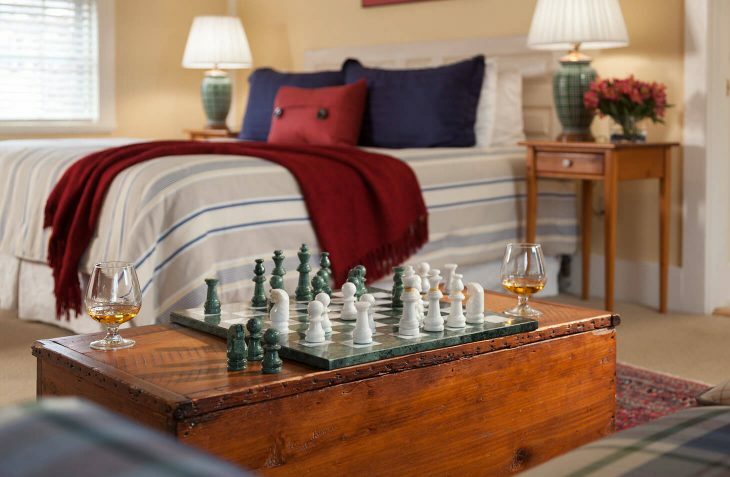 Spacious deluxe room on the third floor with a king bed and pull-out queen sofa. 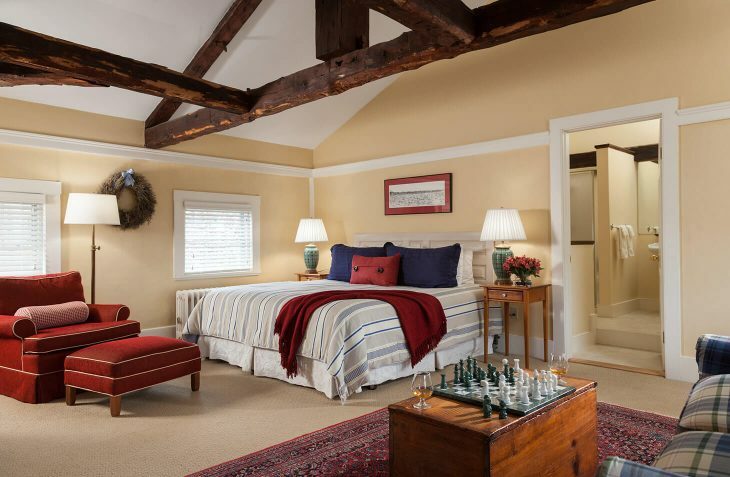 The cathedral ceilings with original exposed beams in the bedroom and bathroom add a historic decorative touch. The private bathroom has a walk-in shower. There are windows on both sides of the room, making it bright and enjoyable for those who want views of the pool/garden area as well as the historic streets of old town Marblehead. If you are looking for romantic hotels in MA, the lovely room 36 at our Marblehead, MA hotel is the perfect room for your romantic getaway.